With its proposal for program requirements on the back burner, OSHA now released a proposal to update and replace its 1989 Guidelines. OSHA issued the proposal on November 16, and has requested comments by February 15, 2016. What Do the Existing S&H Guidelines Recommend? Management commitment and employee involvement. Worksite analysis to identify hazards (could be tied to self-audits). Hazard prevention and controls addressing the hazards identified. The S&H Guidelines include Recommended Actions under each of these four elements, which suggest ways for employers to organize and accomplish these elements. What Does the Latest Recommendation Recommend? Top management demonstrates and communicates commitment to continuous improvement in safety and health, and sets program expectations and responsibilities. Managers make safety and health a core organizational value, with safety and health goals and objectives, and adequate resources and support, and set a good example. Workers and their representatives are involved in all aspects of the program. All workers, including contractors and temporary workers, understand their roles and responsibilities, and how to effectively carry them out. Workers are encouraged and provided means to communicate openly with management and to report safety and health concerns without fear of retaliation. Potential barriers or obstacles to worker participation (e.g., language, lack of information, or disincentives) are removed or addressed. Procedures are in place to continually identify hazards and evaluate risks. An initial assessment of existing hazards and control measures is followed by periodic inspections and reassessments. Employers and workers cooperate to identify and select options for eliminating, preventing, or controlling workplace hazards. A plan is developed that ensures controls are implemented, interim protection is provided, progress is tracked, and the effectiveness of controls is verified. The host employer and all contract employers coordinate on work planning and scheduling to identify and resolve conflicts that could impact safety or health. Workers from both the host and contract employer are informed about hazards at the worksite and the hazards that a contract employer may create onsite. OSHA’s proposal provides a significant number of “action items” that an employer can take to operationalize these elements. An appendix identifies provisions in existing OSHA standards that provide requirements consistent with each of these elements. Has the organization established a general workplace safety and health program? Does it meet standards in OSHA’s existing guidelines? Does it comply with applicable requirements established by its OSH/OHS regulator? Does it meet standards presented in OSHA’s new proposal? Does the organization provide clear management leadership for its safety and health program? Does the organization ensure effective worker participation? 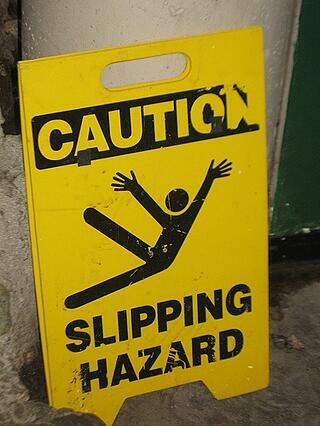 Does the organization take steps to identify and assess workplace hazards? Does the organization implement hazard prevention and control activities? Does the organization provide education and training to employees in safety and health issues? Does the organization’s program include program evaluation and improvement measures? If the organization conducts activities at multi-employer worksites, does it ensure adequate inter-employer coordination of safety and health program(s) activities?